o Ensure High Performance Rate, 100 % accuracy and 0% Error Rate so on. 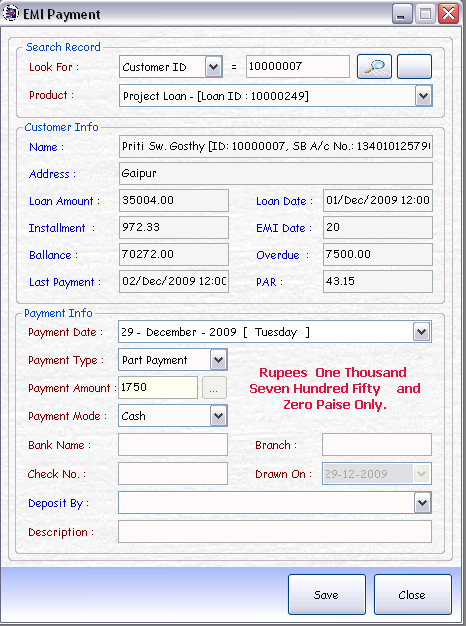 The Graphical User Interface is designed to be extremely simple & provide a consistence look & feel to the end user. It is aesthetically designed with pleasant colors so that it does not cause much of a train to the eyes. It's designed is targeted towards easy learning & pleasant user experience. To ensure highest security level and preventing manual error as well as providing user friendly interface always show details information. Ensure that the data is secure, as the system does not allow unauthorized users to access the data and manipulate it, thereby preventing fraud and mis-representation of financial data. 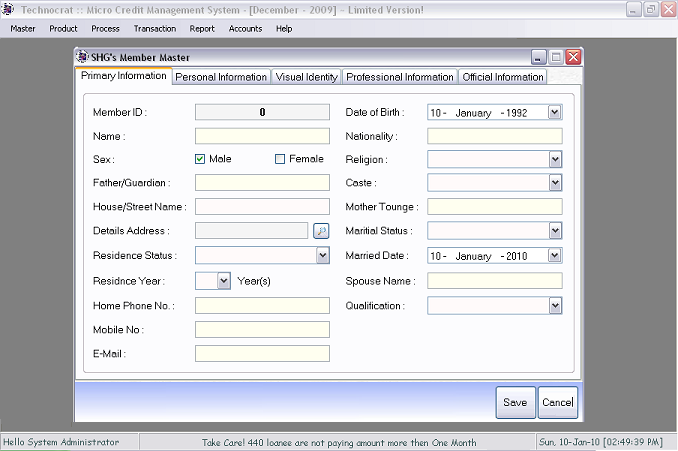 o Employee can only access pre-defined Forms. o They can perform only pre-allocated rights.